All orders are shipped from our distribution center in Essex. Orders placed before Noon GMT typically ship the next business day. We always try our upmost to get our products to you as quick as possible, customer service means a lot to us and we love seeing you Prepped & Packed soon after your order is placed. It is imperative that you give us as much information as possible when placing your order, please ensure that you double check your mobile phone number when placing your order, whilst requesting special delivery notes within the note section of the checkout. Any orders received after 1pm Thursday 23rd August will be delivered on Wednesday 29th August due to bank holiday Monday. When it comes to our fresh produce, as we are sure you understand some take our professional butchers a little longer to freshly prepare, however do not panic we will always get your order too you within 2 business days at the very latest. Ethically we are passionate about getting the best quality product to you, whilst we are sure you would agree that fresh produce in particular should always turn up fresh and packed with nutrition. Sending out frozen produce, which is more often than not full of water, salt and preservatives is not something we are willing to deliver. If you have a particular place or neighbour that you would like your delivery left please do add a note when you place your order and our couriers will leave it in your chosen position. Not sure about your purchase? No problem. We want you to be happy! Contact us and we’ll return or exchange unused/unopened Prepped and Packed™ products purchased from our website within 30 days of ordering. Need an alternative bag? Let us know the bag you need and we’ll arrange to get it to you. All exchanged and returned items require an RMA#, which can be obtained through our Customer Service Team. Send us an email to sales@preppedandpacked.com or call us at 8AM-3PM GMT, and we’ll get the process started. Please note: Original shipping charges are non-refundable. 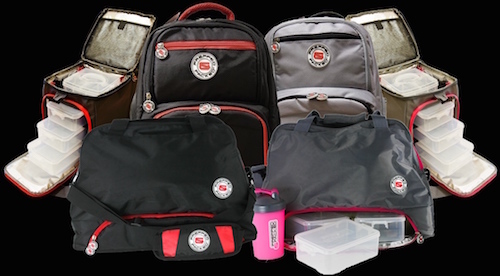 Prepped and Packed™ offers a 90 day limited warranty on all defects and damages on bags, and a 60-day warranty on all accessories (Gel Packs/food Containers) that are purchased through our website or Authorized Resellers and are not the result of normal wear and tear. Something happens to your bag? We’ll take care of it. Please contact our sales force customer service team at sales@preppedandpacked.com or 01277 631111 8AM-3PM BST, and we’ll be more than happy to help you with any bag related issue. Prepped and Packed will not share or sell your personal and contact information. Ever.